Netpremacy is a global IT solutions provider based in Leeds, UK. Specialising in the design and deployment of cloud services, we partner with leading corporations including Google, Zendesk, RingCentral and LumApps. As a Google Premier Partner, we supply organisations with cutting-edge cloud solutions from Google, including G Suite, Google Drive, Google Cloud Platform and Chrome devices. Netpremacy is a Google Premier Partner who focus on delivering world-class enterprise solutions for large global companies. Supporting over 3000 customers in over 30 countries around the world, our services are backed by leading global network operations and customer care engineers providing the infrastructure to deliver exceptional solution support. Netpremacy is a young and fast-growing company. We like to think that our working environment is dynamic and modern. Our offices are located in the heart of the city center, just a 5 minute walk away from the train station. 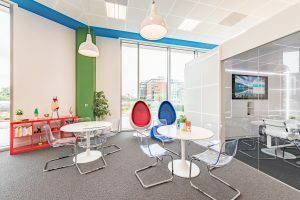 Our offices in Leeds are all open plan and Google-themed. We like to work in an open and friendly environment which helps us to be as collaborative as we need to. 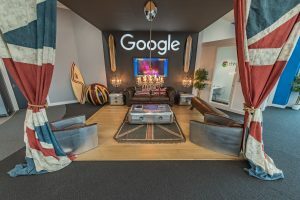 Our offices are kitted out with the latest high spec Google technology, using technology such as Jamboards and Hangouts Meet Hardware to emerge ourselves in the Google culture. A dynamic working and learning environment with a fast-paced cutting-edge Google Cloud provider. We work with some of the most exciting new technologies around. You can learn from the experts including; Google, Zendesk and RingCentral in helping to build new solutions and establish best-practice on the leading edge of technology. 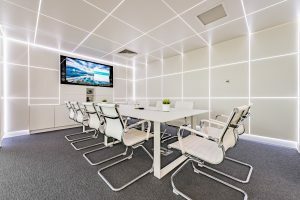 We have a wide range of projects with some of the biggest brands in the world and our customers and their requirements are extremely varied. Our office is friendly, with a lot of fun and games, and we try to make leeway for your commitments outside of work. We appreciate that everyone is different, and everyone has something unique to add to our growing team. Working alongside a senior project manager, the successful candidate will have either some project management experience or have a strong task management mindset and approach to work. Being a junior project manager at Netpremacy you will be gaining experience on working on a vast array of different type of projects within different types of industries across the world. A successful candidate needs to demonstrate good communication, strong problem solving and good resource and budget management. A background in IT change projects is desirable but not essential, experience managing complex and challenging tasks and situations is also desirable. As a junior project manager you will need to have a strong focus on customer delivery, be able to articulate and confidently walk customers through your reasoning and approach to the tasks that need to be completed in order to deliver a success project. View more job opportunities here.